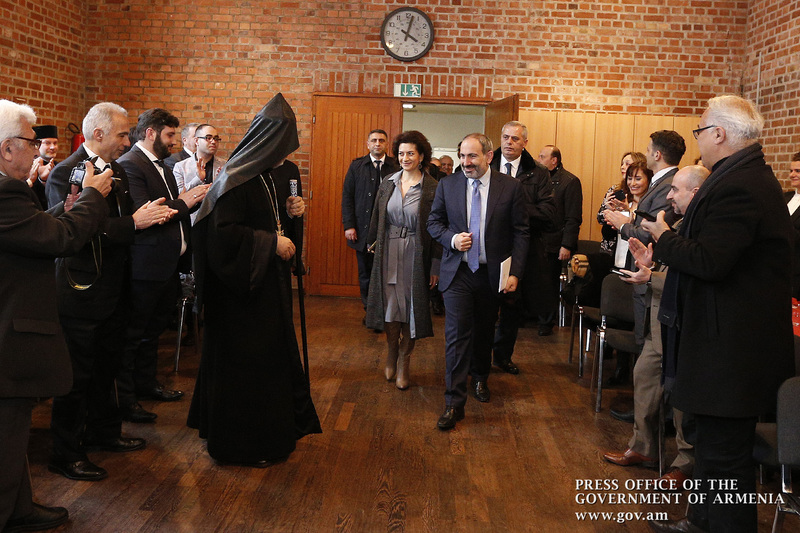 Within the framework of the official visit to Germany, later today Prime Minister Nikol Pashinyan met with Armenian community representatives and members of local community organizations at the Prelacy Diocese of the Armenian Apostolic Church in Cologne. 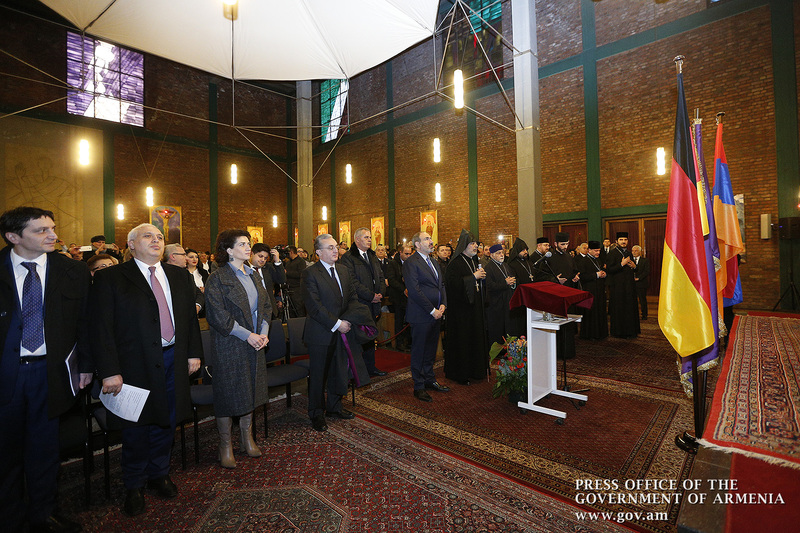 It is a great honor for me to be in the Prelacy of the Diocese of the Armenian Apostolic Church in Germany. 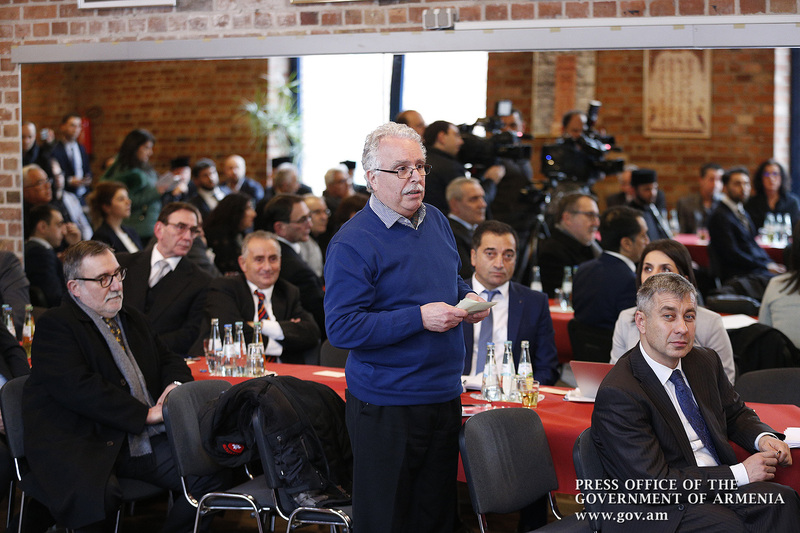 In essence, we can say that Cologne is the capital of the Armenians of Germany, and it was not accidental that we started the official visit here. 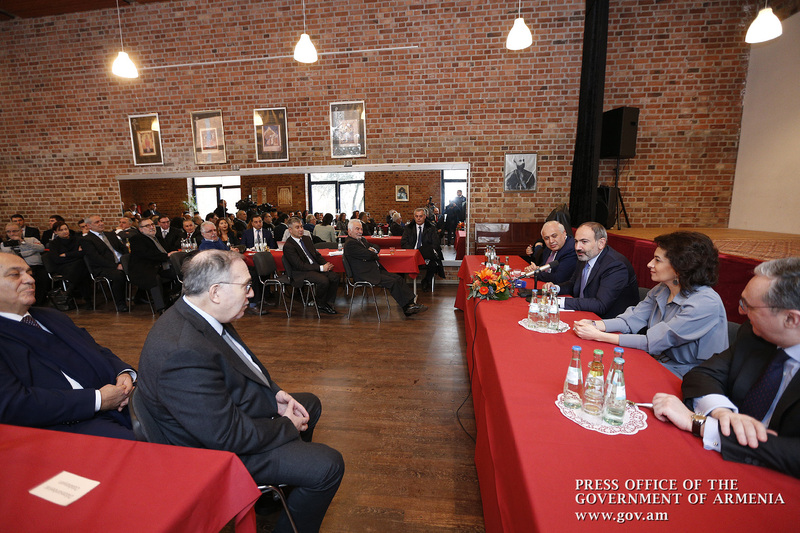 It is a great pleasure for me to have such a meeting today, and I want to dwell on those major changes that have taken place in Armenia, around Armenia and in the world. 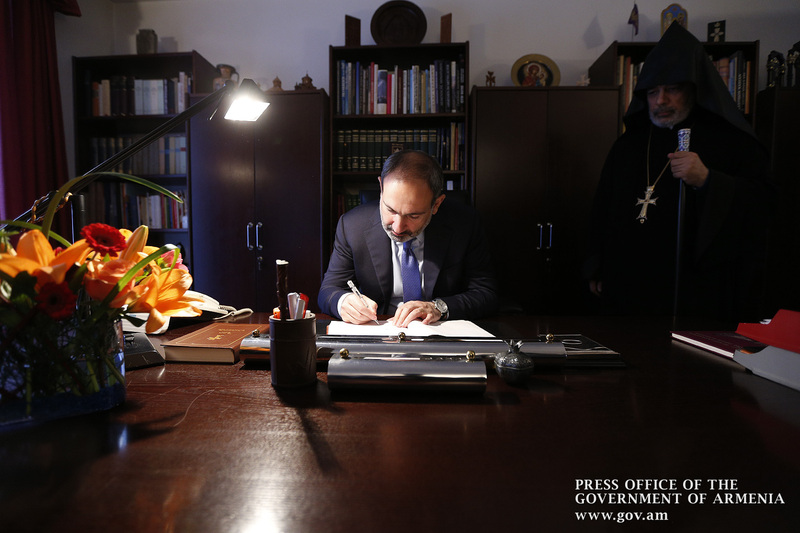 The Republic of Armenia has become more visible and more audible for the civilized world after the well-known changes. This is the reality, in fact. I sometimes face an inconvenient situation when representatives of different powerful civilized countries in the world tell us straight away during discussions and contacts that they have much to learn from us. This is quite a strange situation, and frankly speaking, sometimes I cannot find the correct answer as I feel somewhat embarrassed. However, when one, two, three or four such phrases are repeated, I think we should not hesitate to record it. Yes, we have problems in many areas, but there is a sphere in which we are truly considered a leader in the world today. I mean the building of a society free of violence without resorting to violence. For this very reason, we can say yes, we are a country of great importance in the world. 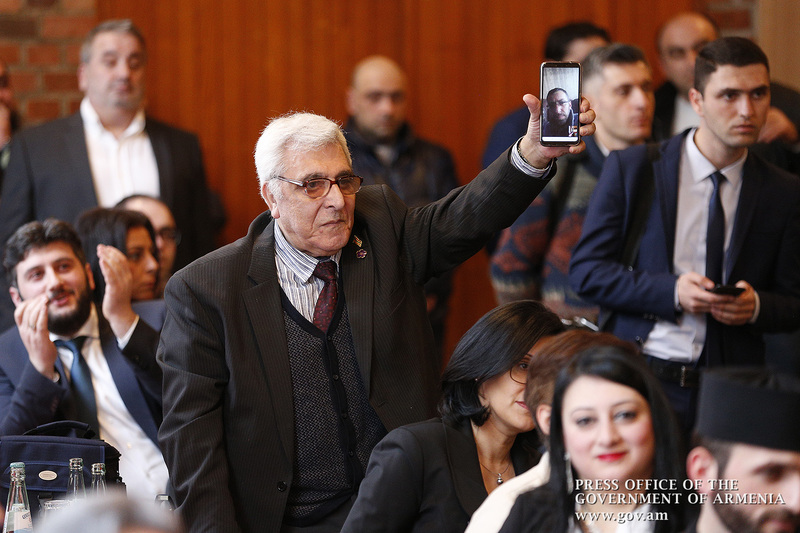 Making political changes and keeping public life safe from violence are a serious challenge, and today the world acknowledges that we have achieved great success in that field. Today we can state that we are at least on the path to joining civilized nations to the family or are already among them. As Paruyr Sevak correctly put it once, and we are true to this formula: we do not put ourselves above anyone. However, we should understand what we have, what we say and do in the modern world. These tasks are positive, they are endowed with universal logic, and they are interesting to the world and civilization. 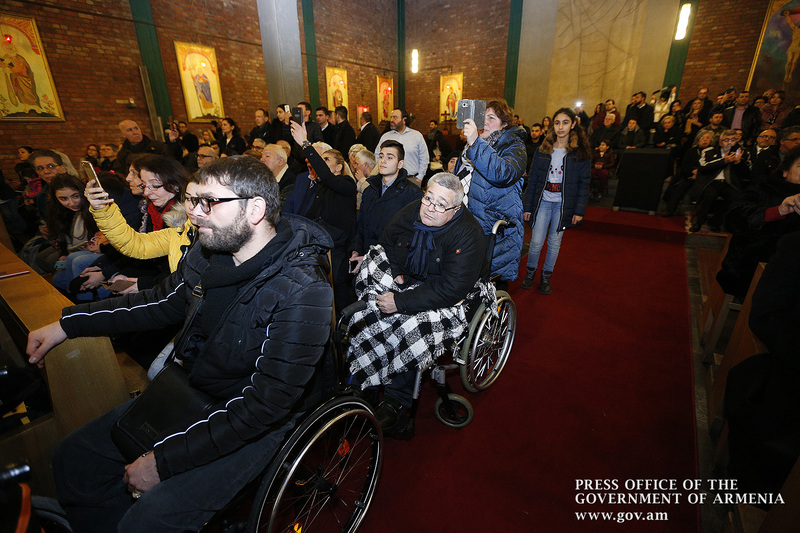 This is a very important statement: I do believe that what happened in Armenia could not have happened through the efforts of a single group, person or party. This is the result of our nationwide efforts. 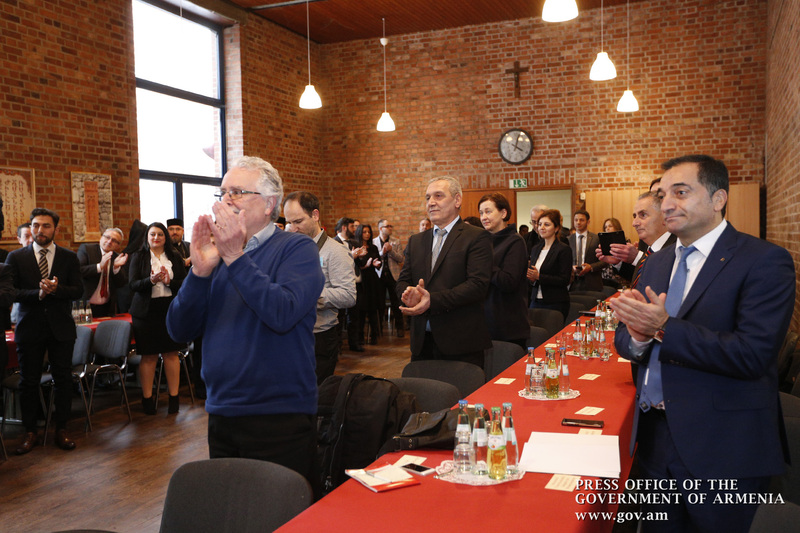 In April-May, we demonstrated an unprecedented example of national cooperation, and, in fact, every Armenian contributed to the transformations that took place in Armenia. 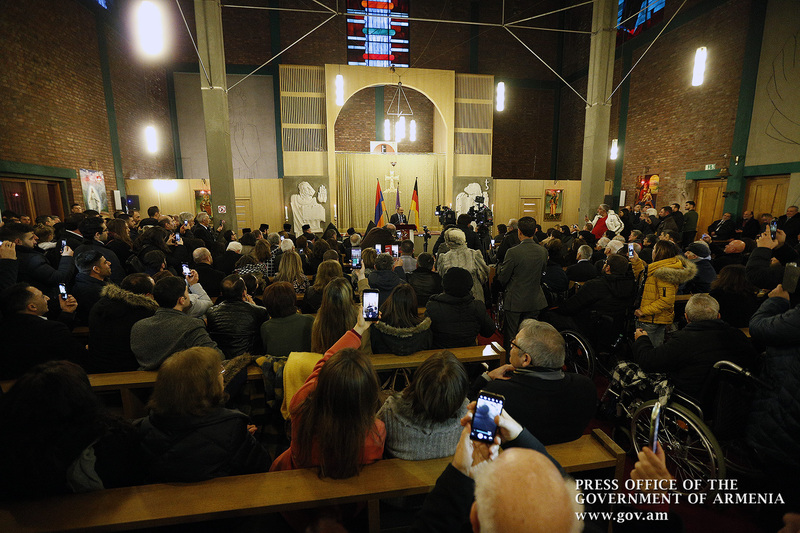 And finally, it is my pleasure to state that for the first time in Armenia’s history free, fair and legitimate parliamentary elections were held, which have not been contested not only by the international community, but also within Armenia, including the Constitutional Court. These are really important changes, but we face even greater challenges. The political transformations need to be translated into economic changes, so that we could move from a political revolution to an economic breakthrough in order to consistently improve the population’s social status through enhanced economic activity and prosperity. This is our mission: achieving these goals is not the task of a single party, a person, and especially that of the government. This is a nationwide task, and I am confident that our people have sufficient potential to consistently strengthen their homeland and hold a well-deserved position among civilized nations. I hope we will actually be able to tap the potential we have on the way to implementing our national dreams and aspirations. 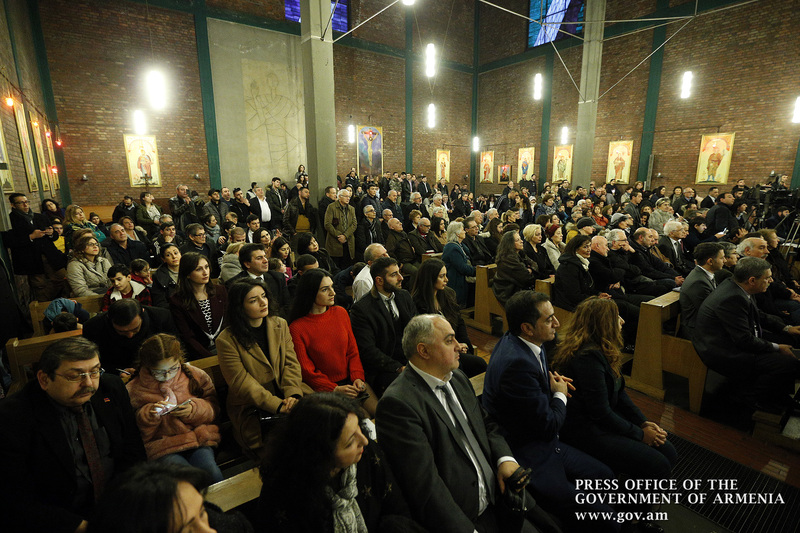 Speaking of his vision of economic revolution, Prime Minister Nikol Pashinyan outlined the Government’s approach on this issue: “Our vision has not changed, it has remained the same: just as the political revolution could not have happened without the participation of every citizen, neither the economic revolution will succeed without the participation of our compatriots and citizens. How did we make the political revolution? We created an opportunity for every citizen to express their position, and we guaranteed that should most of our citizens express their position we would do our utmost to implement changes. The same goes for the economic revolution: everyone should to be ready to contribute to it. 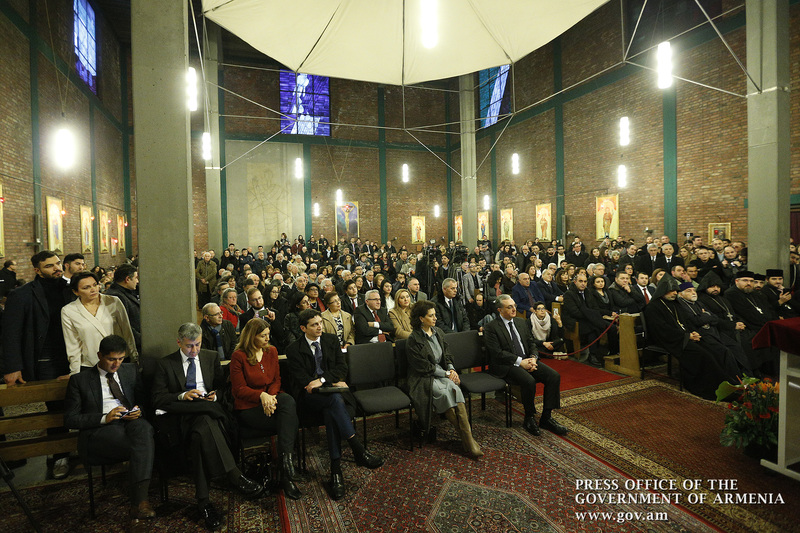 Today the modern world, especially Armenia is a country of opportunities, and our biggest challenge is to make these opportunities realistic. 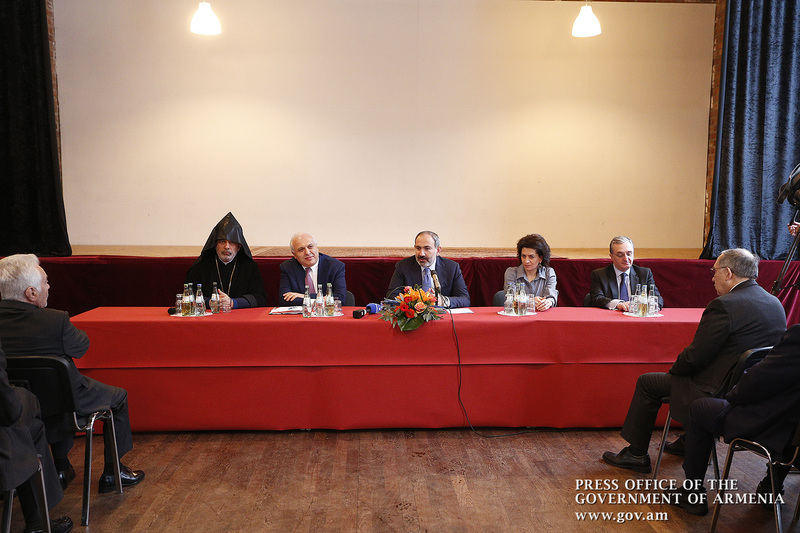 Prime Minister Nikol Pashinyan next answered a few questions about the process of peace talks on the Artsakh conflict, the structural changes related to the Ministry of Diaspora, Armenia’s energy security, the activities of the Armenian community in Germany, etc. 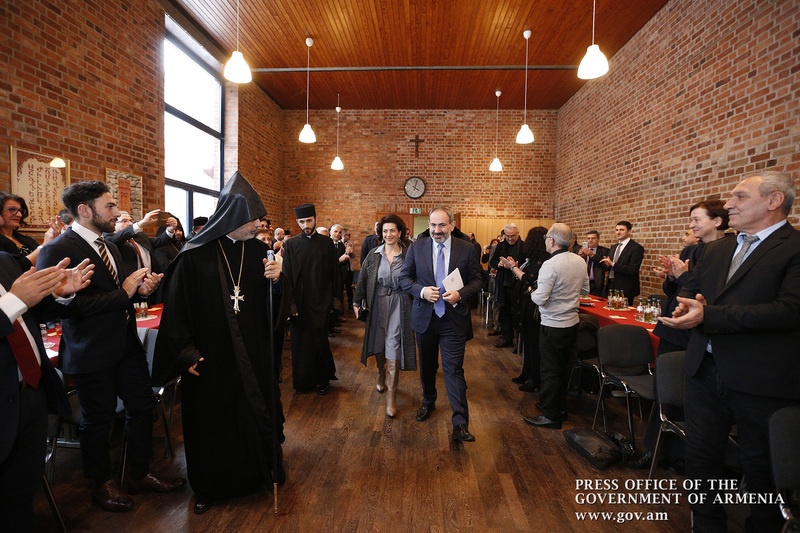 Answering a question about the Diaspora Ministry, Nikol Pashinyan said: “The Staff of the Prime Minister of the Republic of Armenia will have an ambassador with special missions for the Diaspora. 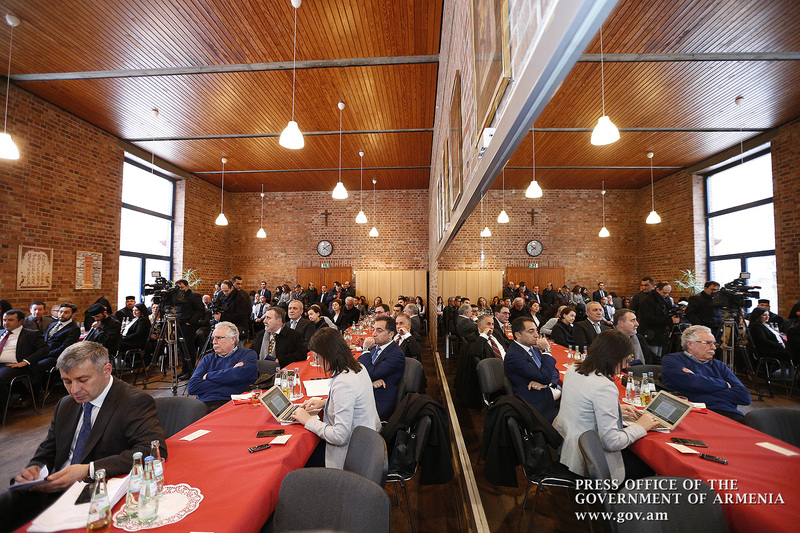 Our vision is that the functions of the Ministry of the Diaspora should be redistributed. The ambassador will be responsible for issues related to the Diaspora. He or she will suggest solutions and will have them implemented with the Prime Minister’s assistance. 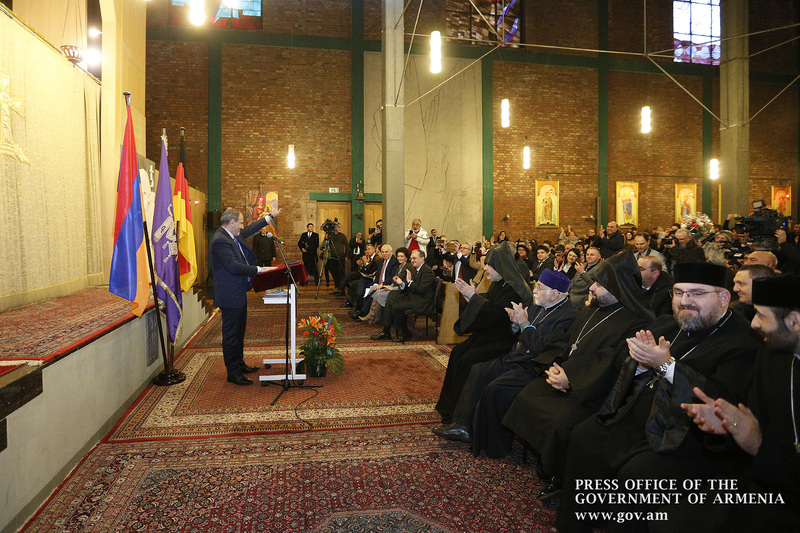 As a result, we have decided to redistribute the functions of the Ministry of Diaspora among other line ministries. Our final objective of optimizing the government’s structure is as follows: only one agency should be involved in each function. 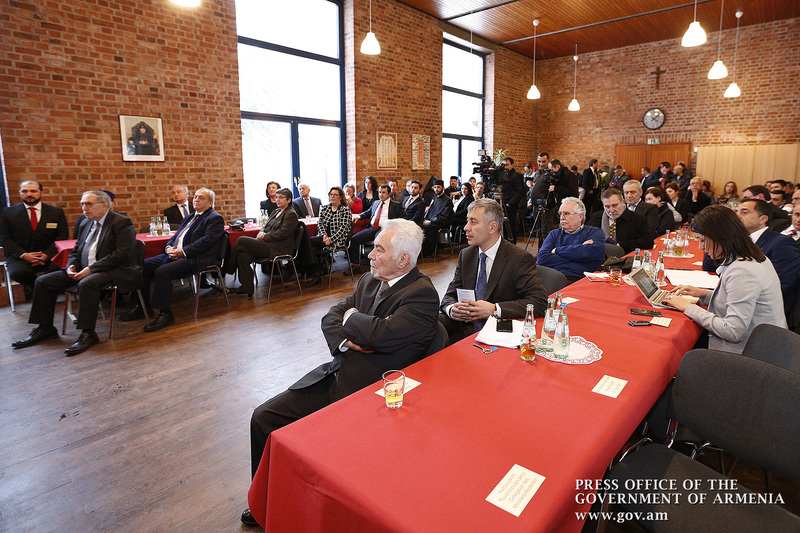 For example, the Ministry of Diaspora used to send textbooks to Armenian schools abroad, while teacher training was provided by the Ministry of Education and Science. And it turned out that often teachers were trained under one agency’s program, while the textbooks were provided by another ministry. In this way, the use of manuals and teacher training proved ineffective. The Ministry of Education and Science should take care of education. 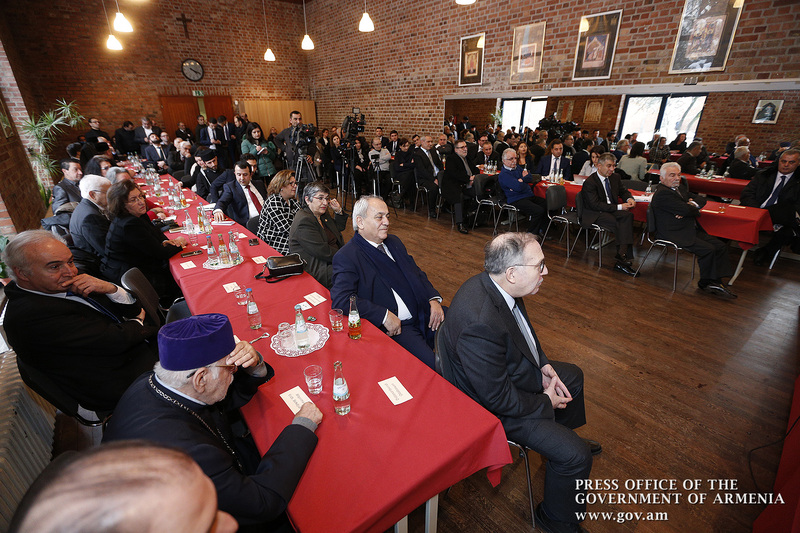 It appears that we used to pursue two different educational policies in the Diaspora and in Armenia. 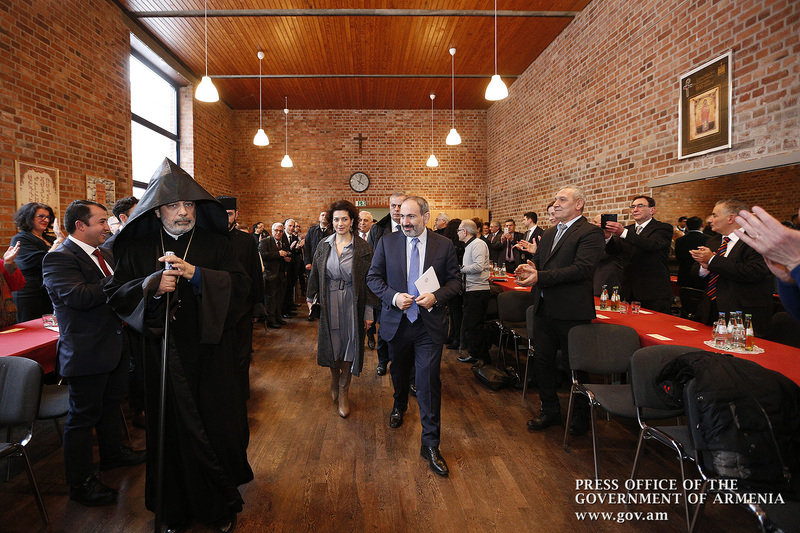 The same is true for culture,” the Premier said, stressing that the rapprochement between the identities of those Armenians living in the Diaspora and the Armenians living in Armenia should be the cornerstone of the Government’s policy.